Thank you so much Vikki!! The FC one is gorgeous....so similar to the very cool looking Pinterest pic too!! I know you have a big soft spot for a bit of FC!! Hmmm...no frugal feb here....tons of stuff on the old wish list!! oooh your Sunday look looks amazing - love that! I am so unsure about the shiny bomber jackets - in fact it's making me cringe as I am transported back to my 13yr old Bros loving self! The quilted one you bought it GREAT though! Lol Fiona! All I can say it that I may have just missed the Bros phase....more of a Duran-y at heart so by-passed the bomber phase first time around!! Hey Sharon....you have some truly amazing stuff going on your Pin boards.....I can't keep up!! Isn't the inspiration fab!! I say go for the ponyskin Next sneakers...they will come into their own once the weather gets a tad warmer and you can dare to bare your ankles...lol! Yay....to looking cool Helen!! I need no encouragement on the gold ASOS jacket front......just hope it does not keep me awake again tonight!! 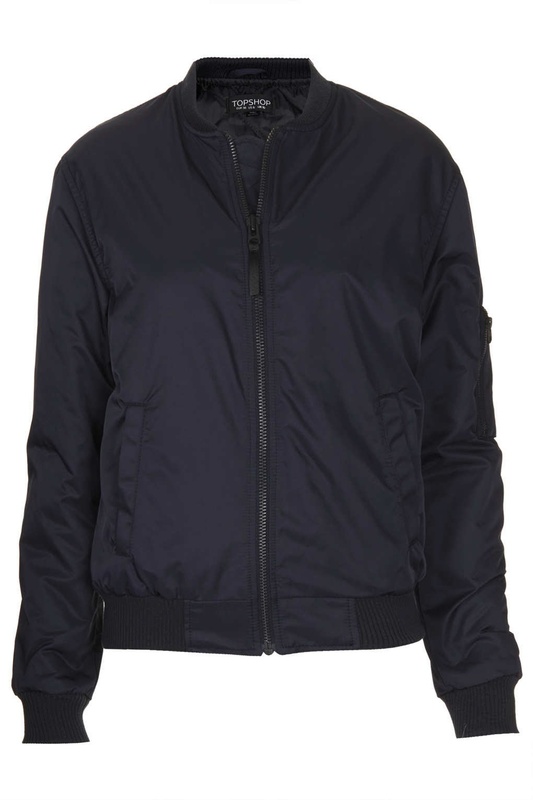 Ooh - looking seriously cool in that bomber jacket. I've not really thought about them as I think they would make me look too butch but I have to say you've got the perfect figure to pull it off and you've styled it just right. And the slouchy trousers and trainers - I used to do that with my work suits and trainers walking across town and if there were no meetings or anything, I kept them on the rest of the day instead of whipping out a pair of sensible shoes. I always like the Allsaints vibe about that kind of slouchy trouser look. 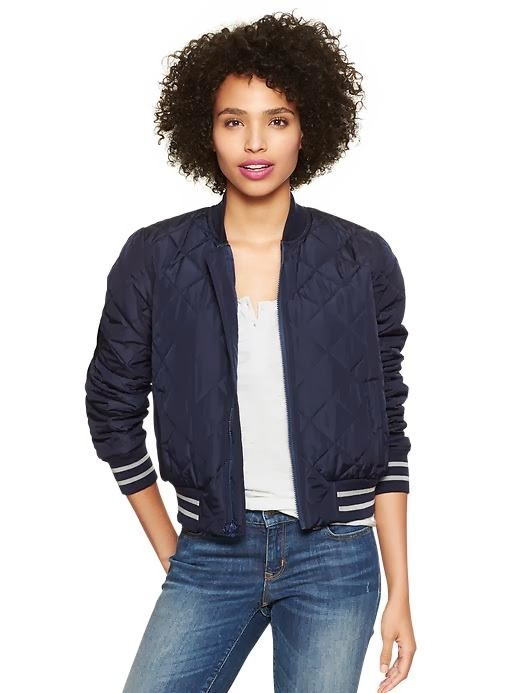 The bomber jacket you found is amazing!!! The best one I've seen all year. I also really love the gold jacquard one from a ASOS... Sorry, I know I'm not helping you be frugal :) It's so awesome. I have been failing miserably as well in my attempt to shop less. Okay, maybe I'm shopping slightly less but nevertheless still shopping plenty. Great finds at incredible prices, Michelle. 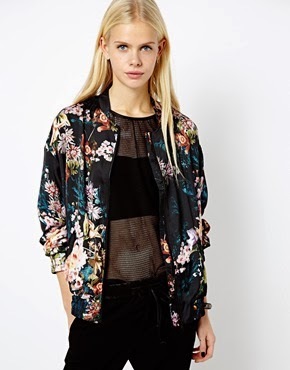 The bomber is gorgeous isn't it Celina! Roll on Spring so I can start wearing it....it is way to cold for it at the moment!! 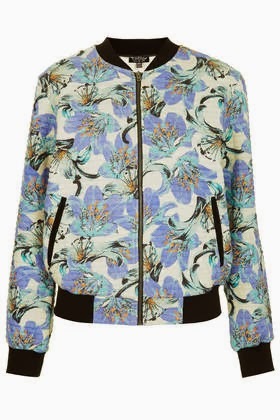 Thank you Louise....super chuffed with the bomber especially as they seem to be cropping up everywhere during LFW!! 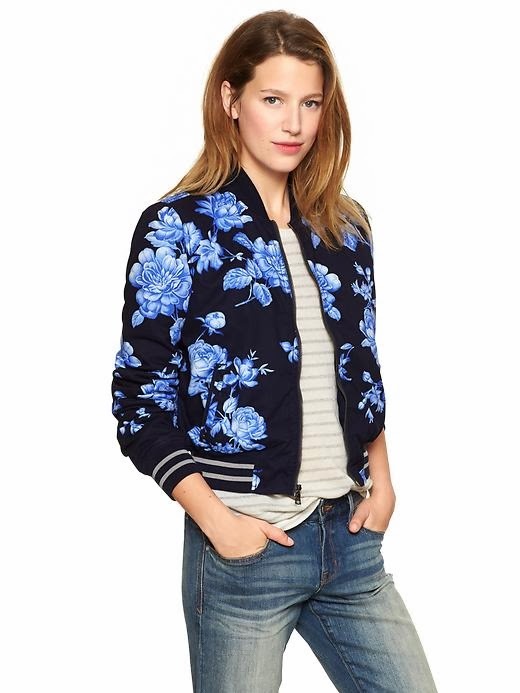 I love this bomber - admittedly I never thought I'd say that, but especially love the floral ones. your 'non jean' outfit looks great! super cool outfit!! love your leather jacket!